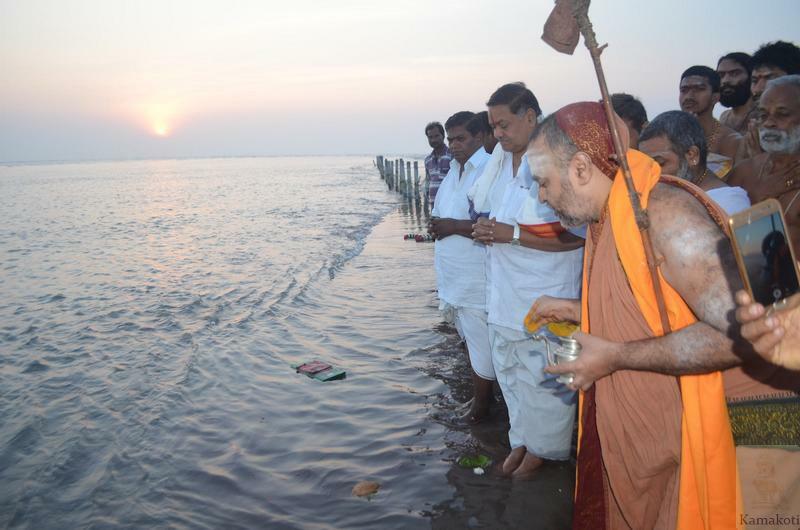 In the early hours of the day, His Holiness visited Shri Venugopala Swamy temple in Hamsaladeevi. 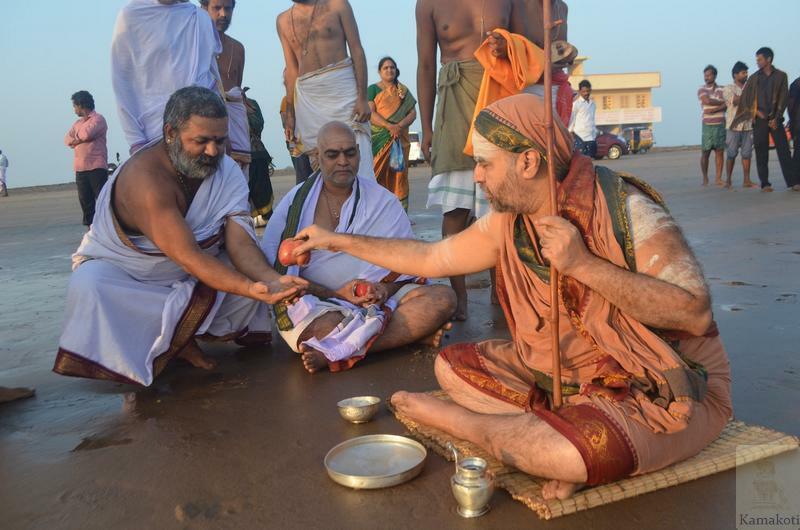 Devotees led by the temple Archaka received His Holiness with traditional Poornakumbham. 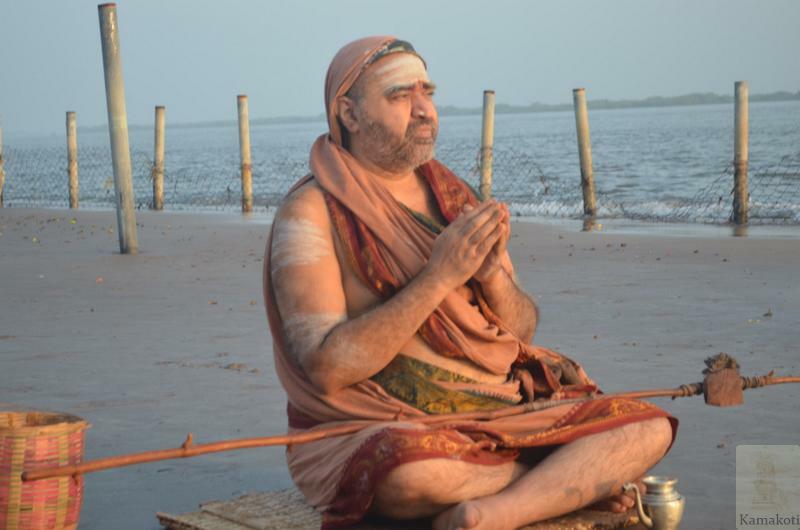 Sri Venugopala Swamy Ashtottaram was performed along with Naivedya & Harathi. 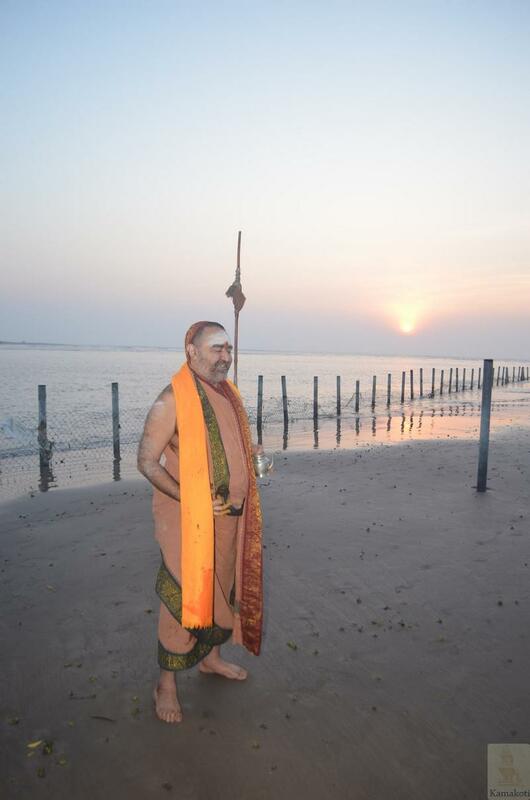 The temple is very ancient and finds mention in Sri Krishna Mahatmya. 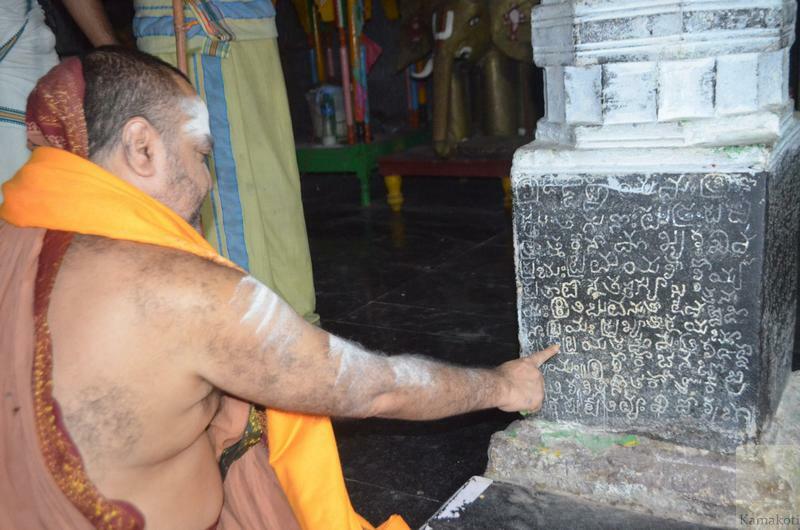 His Holiness observed the various inscriptions in the temple. 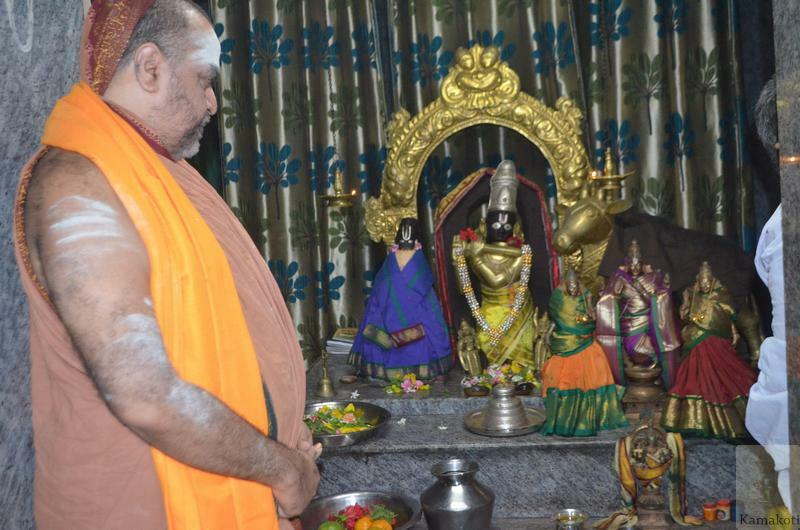 His Holiness then visited the Shivalayam, another ancient temple in the town that finds mention in Sri Krishna Mahatmyam. 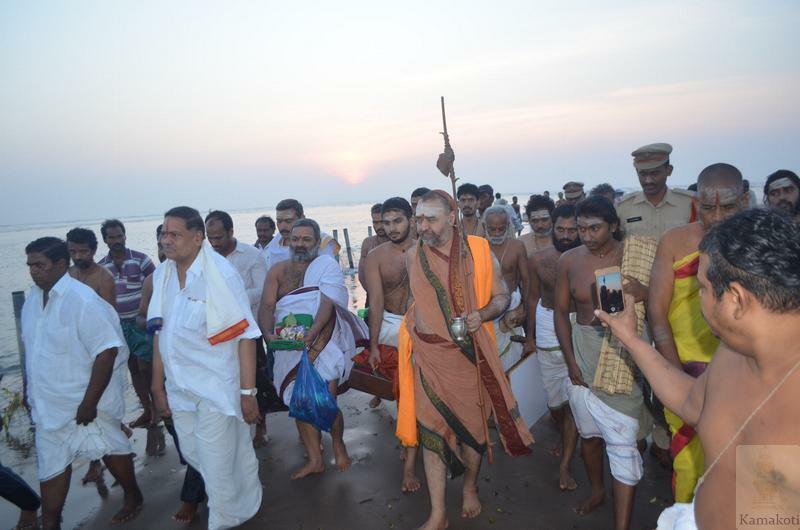 After the temple visits, His Holiness left for the Sangamam area that lies at a distance of about 10kms from Hamsaladeevi. The route was very picturesque with both sides of the road covered with marshy land. 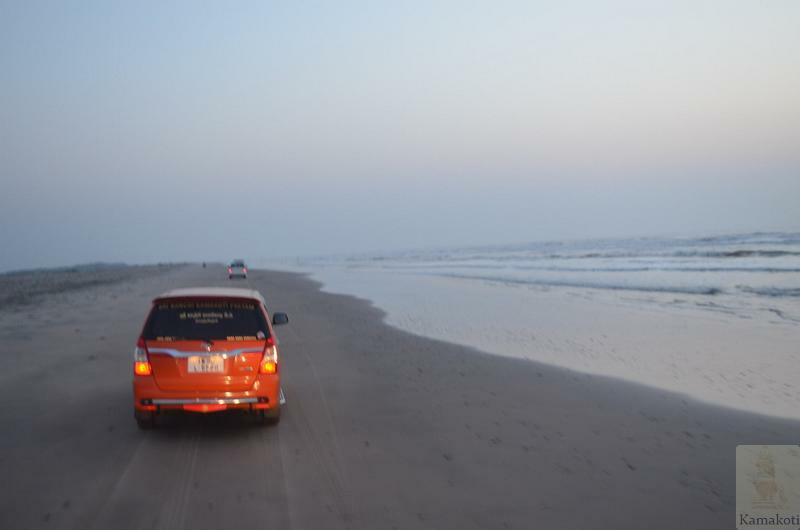 A stretch of about 4kms has no road and had to be covered on the sandy-coast of Bay of Bengal. Locals mentioned that it was only with the efforts of Shri Mandali Buddha Prasad that there was some development in form of roads & few buidings in the remote area. 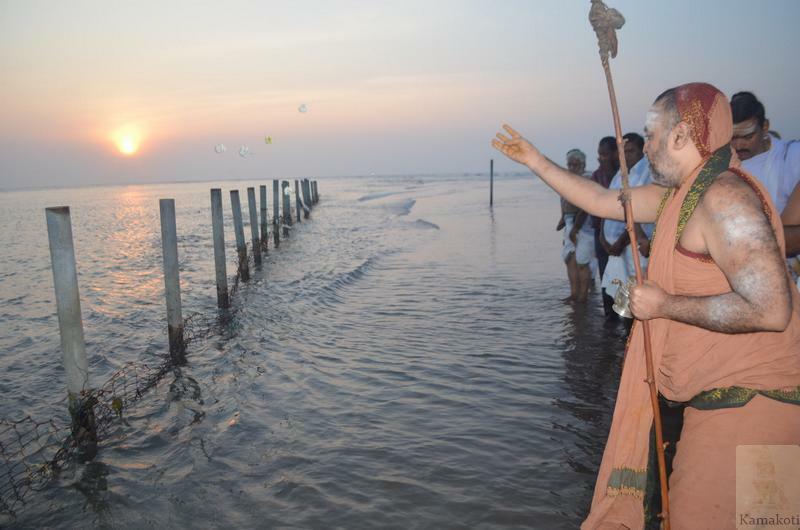 It was sunrise time when the entourage reached Krishna- Samudra Sangamam. The place was very calm & serene. There were couple of buildings nearby, for pilgrim amenities, recently built during the Krishna Pushkaram. 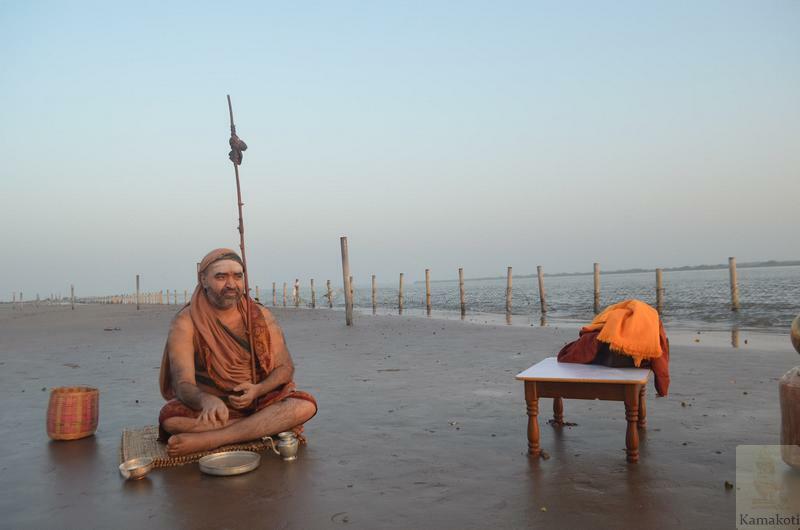 Various information boards informs & cautions pilgrims about the depth of the Sangamam bed. 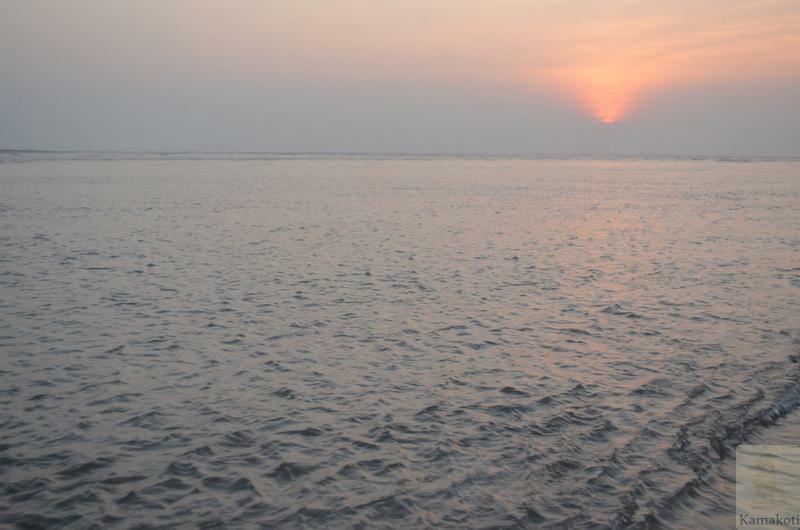 Beyond the initial shallow area that extends upto around three feet from the banks, the further zone deepens sharply, and is almost 30 to 50 feet deep. 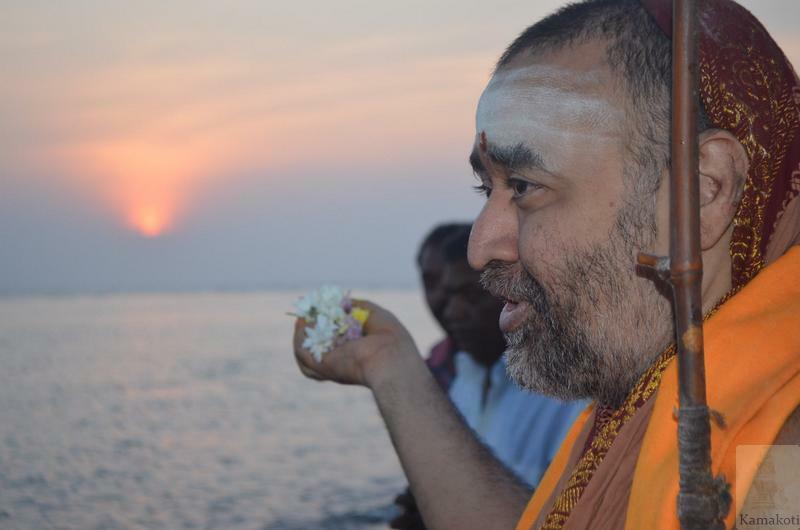 His Holiness performed special Pujas to Krishna Nadi and then had Snana. 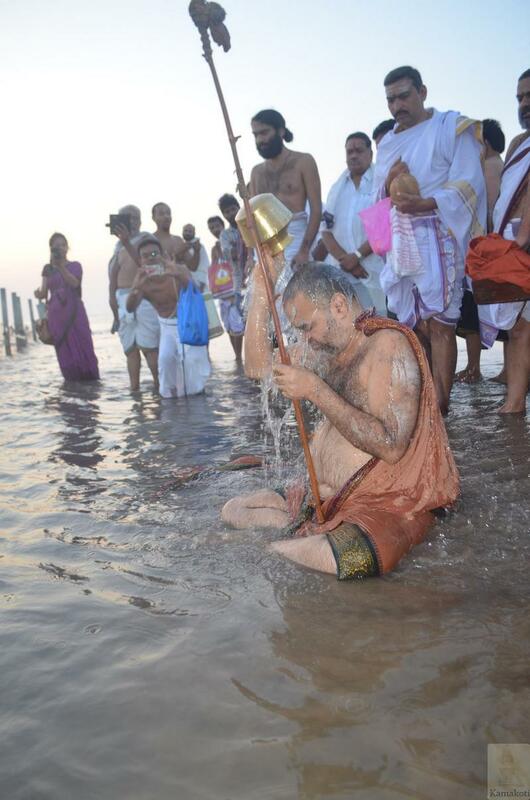 Anushthanam was performed & Vastra, Swarna & Dakshina Danas were given. 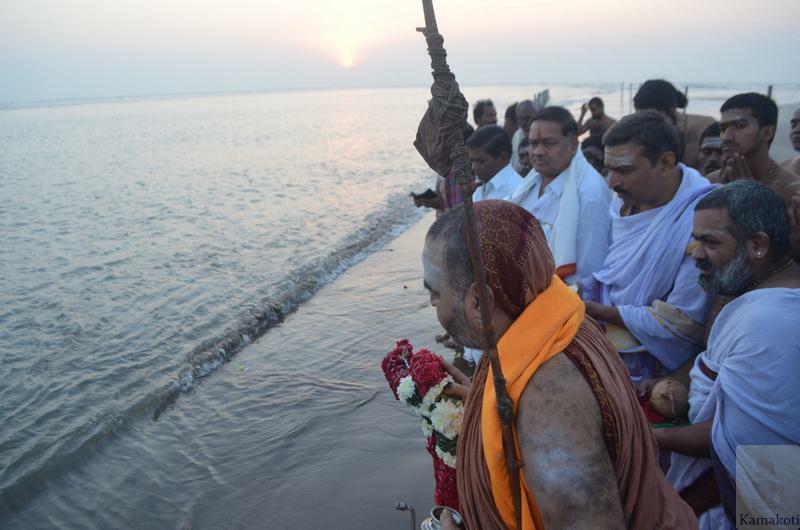 His Holiness sprinkled Anushthana teertham on the idol of Krishna Nadi Mata situated on the banks of the Sangam area and left for Vijayayawada. Shri Mandali Buddha Prasad, Deputy speaker of AP Govt, accompanied His Holiness all along till the entourage reached Vijayawada.